I love experimenting in the kitchen, especially with different types of fruits which are available now. 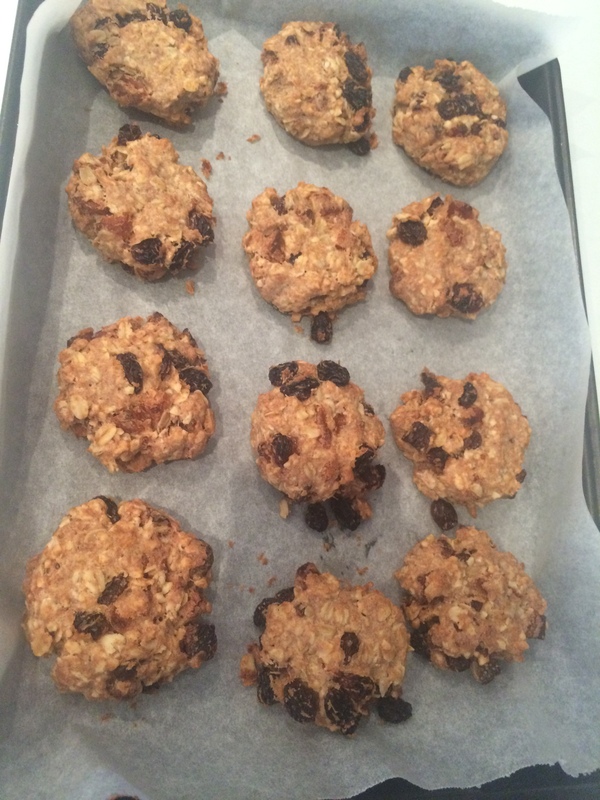 So today i customised the traditional rock cake recipe to suit a much cleaner and healthier version. Combine all ingredients apart from honey and coconut oil into a large mixing bowl. Melt coconut oil and honey and add to dry ingredients. Turn fan forced oven to 180 degrees and line a large baking tray with baking paper. Roll mixture into round balls and press flat onto baking sheet until all the mixture has been used.